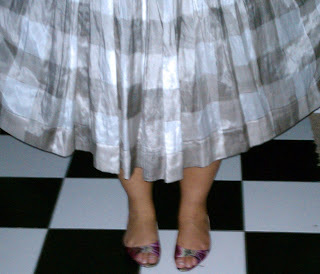 I don't know why I haven't ever blogged on Isaac Mizrahi. He is one of my favorite designers and I actually have quite a few pieces from him. I guess I really started buying when he was in Target. I followed him to Liz Claiborne (which is where the dress is from that I am wearing). He is now at QVC with designing for his own line, but I have yet to pick up something. 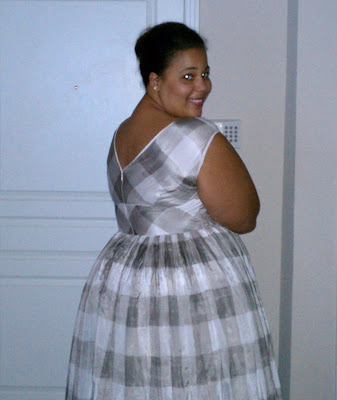 I bought this dress a couple of years ago for Easter (yes I still buy Easter dresses). It priced at $189, I think. I decided to bring this one out for Sunday morning Mass. 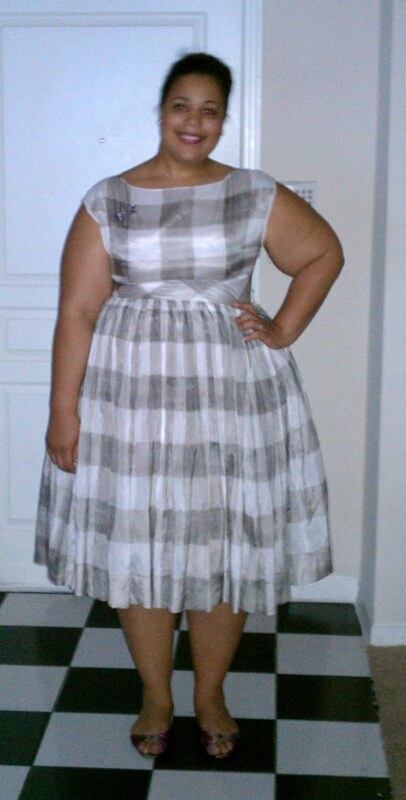 This dress is actually one of my top 5 favorite dresses that I have ever purchased. Oh and please bear with my fuzzy photos and red eye, I have yet to pick up my new camera. 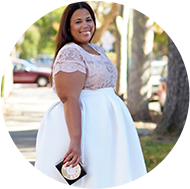 Underneath the dress you can find a little tulle! How fun! I just love the back of the dress. I threw on my Christian Siriano flats. I am really getting a lot of wear out of these. They do run narrow though, so they can be a little painful after a while. 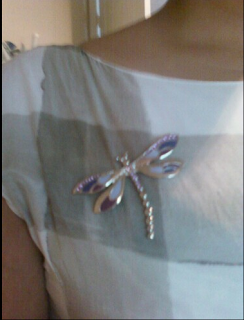 I added my little firefly pin that I got from Lane Bryant ages ago. Does anyone but me still buy Easter dresses? Anywho, I am almost done with the Jibri dress giveaway entries. The winner will be announced very soon, my dears. This dress is perfect! I love it...and nope, I havent bought an Easter dress since I've been an adult. Actually, it's sad to say but I always avoid church on Easter...lol! I figure since I go every other Sunday, I'll let the men wearing their zoot suits and Steve Harvey specials have their moment with their mamas. Since I was a child it has been tradition to get a new dress for Easter Mass and Midnight Mass (Christmas Eve)...it's second nature to me. That look is beautiful and I love the broach! I love this dress!!! So cute!